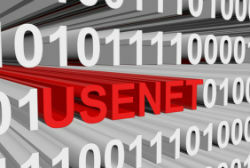 Dutch anti-piracy group BREIN has signed a hefty settlement with a prolific Usenet uploader. The man was identified by Usenet provider Eweka, which was ordered by a local court to cooperate. While this type of sharing is a relatively small niche, the same procedure may also apply to torrent users in the future. Dutch anti-piracy outfit BREIN has been very active over the past several years, targeting uploaders on various sharing sites and services. They cast their net wide and have gone after torrent users, Facebook groups, YouTube pirates and Usenet uploaders as well. To pinpoint the latter group, BREIN contacts Usenet providers asking them to reveal the identity of a suspected user. This is also what happened in a case involving a former customer of Eweka. The person in question, known under the alias ‘Badfan69,’ was accused of uploading 9,538 infringing works to Usenet, mostly older titles. After Eweka handed over his home address, BREIN reached out to him and negotiated a settlement. The 44-year-old man has now agreed to pay a settlement of €4,800. If he continues to upload infringing content he will face an additional penalty of €2,000 per day, to a maximum of €50,000. The case is an important victory for BREIN, not just because of the money. When the anti-piracy group reached out to Usenet provider Eweka, the company initially refused to hand over any personal details. The Usenet provider argued that it’s a neutral intermediary that would rather not perform the role of piracy police. Instead, it wanted the court to decide whether the request was legitimate. This resulted in a legal dispute where, earlier this year, a local court sided with BREIN. The Court stressed that in these type of copyright infringement cases, the Usenet provider is required to hand over the requested details. Under Dutch law, ISPs can be obliged to hand over the personal details of their customers if the infringing activity is plausible and the damaged party has a legitimate interest. Importantly, the legal case clarified that this generally doesn’t require an intervention from the court. “Providers must decide on a motivated request for the handover of a user’s address, based on their own consideration. A refusal to provide the information must be motivated, otherwise, it will be illegal and the provider will be charged for the costs,” BREIN notes. While these Usenet cases are relatively rare, BREIN and other parties in the Netherlands, such as Dutch Filmworks, are also planning to go after large groups of torrent users. With the Usenet decision in hand, BREIN may want to argue that regular ISPs must also expose pirating users, without an intervention of the court. This is not going to happen easily though. Several ISPs, most prominently Ziggo, announced that they would not voluntarily cooperate and are likely to fight out these requests in court to get a solid ‘torrent’ precedent.